Tax season 2015: Where in Canada do you pay the most tax? How much income tax you'll be paying this April depends on where you'll be paying it, and you might be surprised by how much variation there is from one part of the country to another. The province or territory where you lived on Dec. 31, 2014, determines how much income tax you owe. 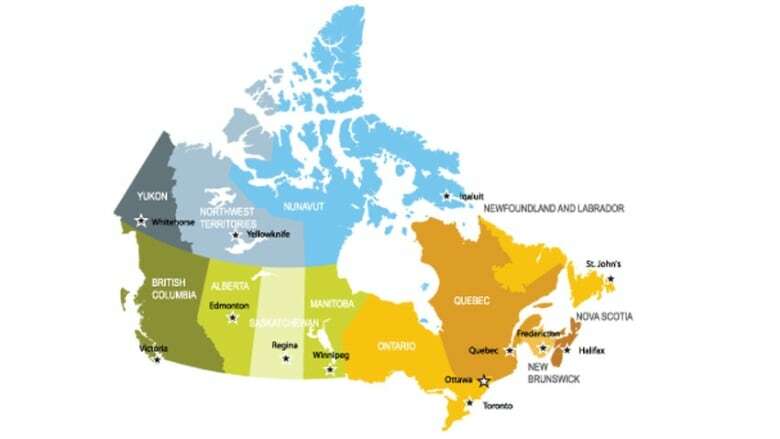 Provincial and territorial income tax rates and tax brackets — and therefore, overall tax bills — vary widely from one part of the country to the next. The graph below shows how much federal and provincial income tax Canadians pay in each province and territory at eight different income levels: from $25,000 to $130,000. You can click on the province names beside the coloured boxes below the graph to select or deselect individual provinces and territories. You can also mouse over each income data point to see the specific tax bill for each province and territory at each income level. Note: The tax payable amounts do not include non-refundable tax credits other than the basic personal tax credit.